Located directly north of Old Toronto between Etobicoke and Scarborough, North York is one of Toronto’s most beloved suburban districts. Not only does the area have an impressive history (it was created as a township in 1922 as the Township of North York), its rapid growth over time has led to it becoming a multicultural area. Needless to say, there’s a lot to love about North York. And just in case you have any doubts that this is an amazing place to call home, we’ll give you 10 great reasons to fall in love with it. You’ll find young, hip singles, working professionals, young families and senior citizens in North York. There’s something for everyone here. 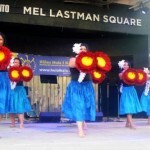 Mel Lastman Square, which was named after North York’s mayor for 25 years, hosts several fun events throughout the year. The Hispanic Fiesta, Aloha Fest, Korean Harvest Festival and the Iranian Festival are just a few examples.Best of all, these festivals are representative of the people living in the neighbourhoods. They promote inclusiveness in the community. The market runs from May until the end of October and is held every Thursday at Mel Lastman Square. You’ll find fresh fruits and vegetables, local honey, flowers, herbs, baked goods, and all kinds of treats. North York has two movie theatres, live music, concerts, and dancing, plus live performances at the Toronto Centre for the Arts. The centre contains three impressive halls, including a 1,726 seat main stage. If you like movies and musicals, you’ll love living in North York. Everyone wants good restaurants in their neighbourhood, and North York doesn’t disappoint. 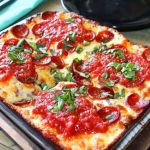 Whether you’re craving Italian food, piping hot pizza, seafood, or steak, you’ll have plenty of options. JOEY Yorkdale and Mezza Notte Trattoria are a couple of local favourites. On those days when you’d simply rather not drive, your options for public transportation are excellent in North York.With Yonge-University subway line 1, Central North York is easily accessible by transit to and from downtown from Sheppard-Yonge, North York Centre, and Finch stations. And that’s just one of your many options. If you love the arts, you’ll love it here. And even if you don’t, North York may help you cultivate a love of art. North York Arts provides a wide variety of arts events and programs to children, youth, families, and seniors. The Aga Khan Museum features Islamic and Iranian art, and the Royal Ontario Museum showcases art and culture from around the world. North York is full of pristine parks, and there are even some urban hiking trails located right in the heart of the city. Cedar Trail, Highland Trail, and the Highland Creek Trail are all top choices, and High Park is full of peaceful trails that offer a sanctuary from the feeling of being downtown. Of course, we saved the best for last. VIA123 is North York’s newest luxury apartment community. Live in a sleek condo-inspired 1, 2, or 3 bedroom suite, or splurge on a 4-bedroom townhome. You’ll have full access to amenities like a fitness centre and a rooftop terrace. Ready to take a tour of VIA123? Register now for a private tour!